Green infrastructure augments or supplements gray infrastructure, reducing stormwater management costs and providing parks and green space in cities. 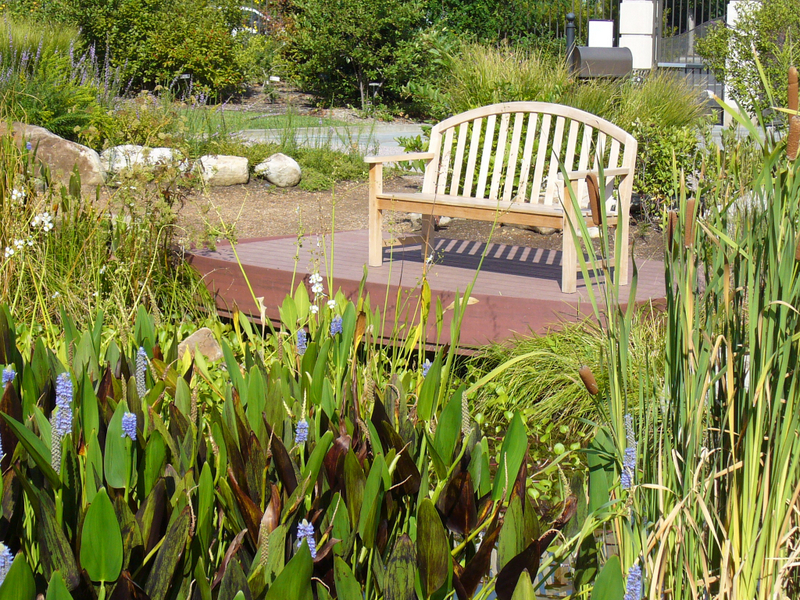 With careful design, green spaces can manage runoff and provide a range of co-benefits. Integrated planning of green infrastructure and parks systems helps to cost-effectively provide multiple benefits and contributes to more livable communities. Designing green infrastructure for stormwater management as well as co-benefits, particularly human health, offers several opportunities. The cost-benefit analysis of green infrastructure installations can include a broader set of economic returns. Design and project messaging that incorporates the co-benefits of health and well-being may engage additional community partners and be more compelling to the general public. Further, organizations and neighborhoods can be enlisted to help with installation and maintenance, partake in green jobs training, and build greater social capital. 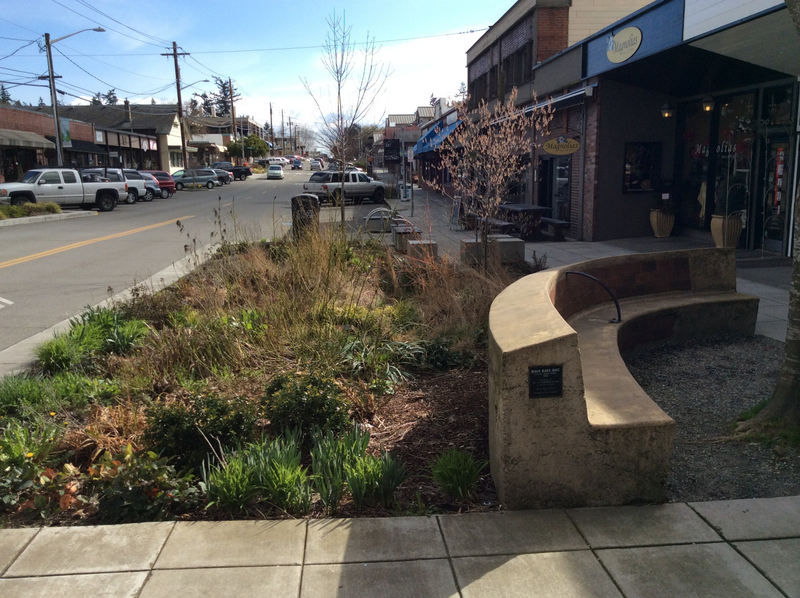 Green infrastructure that provides better human habitat is a win-win for community buy-in. The benefits to the environment and human well-being, as reported here, are but a small sample of growing evidence about the importance of nearby nature in cities and towns. For many urban residents the term infrastructure brings to mind roads, pipes, and power lines. Green infrastructure systems, however, are practical integrations of built and ecological systems that incorporate all natural, semi-natural and constructed green spaces within, around, and between built areas, to replace or augment more traditional gray infrastructure. 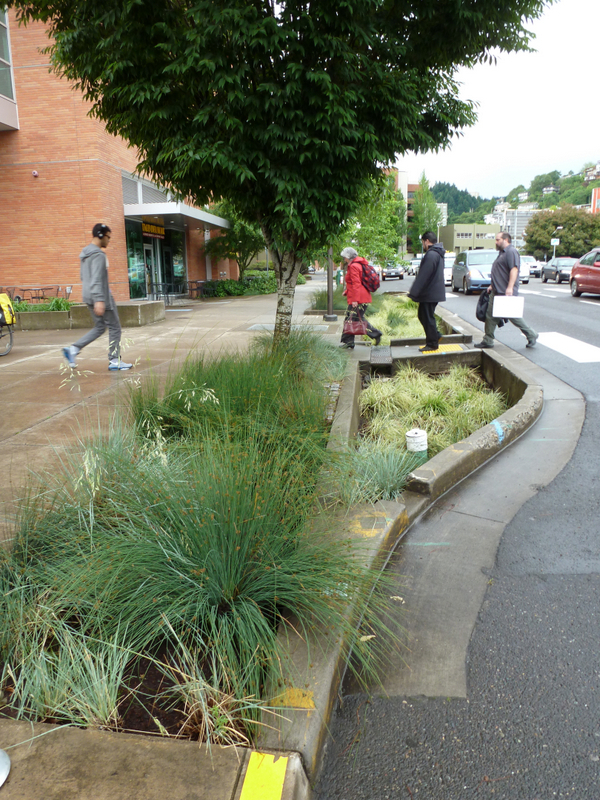 Stormwater systems planners and engineers are using low-impact development, including bioswales and vegetative systems, to reduce flow to pipes and drains. Meanwhile, park planners and managers are integrating larger park parcels, conservation lands, and community open spaces into nearby nature systems that are accessible and improve quality of life. Can these two efforts be combined? In many cities, land for public use is expensive or difficult to repurpose. Every parcel or easement is ever more valuable. The use and public value of each bit of urban public land must be optimized. While dividing attention across multiple activities can actually reduce a person’s productivity, nature, on the other hand, multitasks quite well. Every small patch of nature in cities and built areas can be ‘hyperfunctional’ and provide co-benefits. 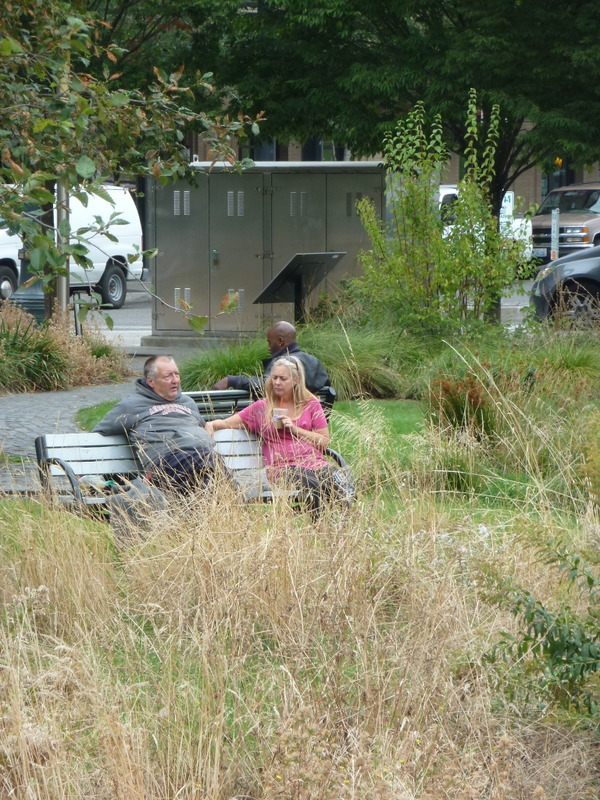 While performing the primary purpose of stormwater management, green infrastructure also can be designed to augment park systems and provide places of respite, recreation, and delight. There is precedent for this approach. Urban planners once segregated land uses across the city, with residential units placed away from commercial parcels. Today mixed-use zoning emphasizes residential buildings that have retail and commercial businesses at the street front. These combinations typically contribute to more dynamic, livable communities. Similarly, green infrastructure installations can be integrated with citywide parks and green spaces. 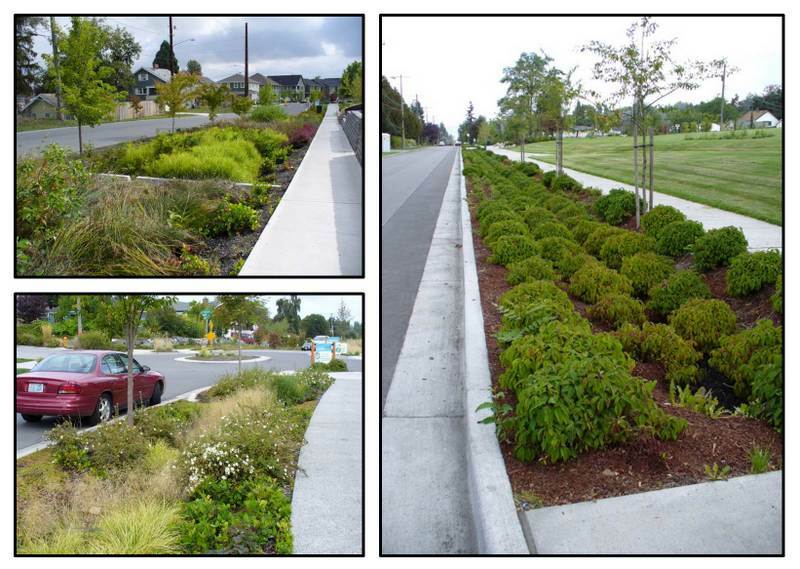 There are many design choices for green infrastructure installations. 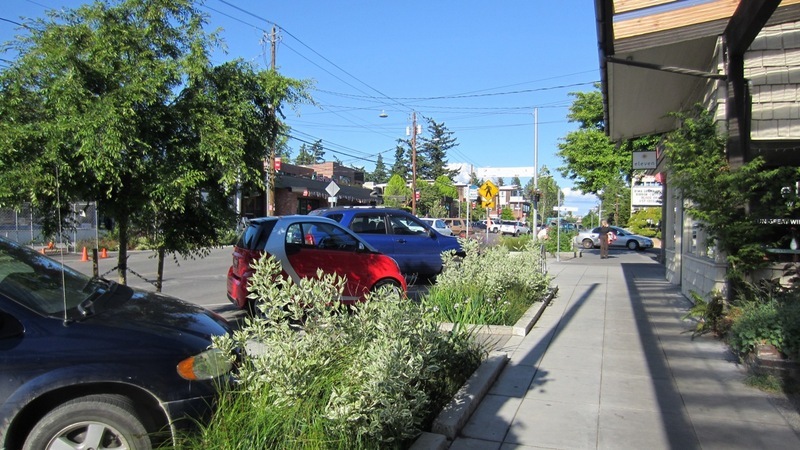 More variety in the plant palette can increase bioswale function, enhance biodiversity (for instance, creating pollinator pathways), and create more vibrant urban places. Both vertical and horizontal surfaces can be used for stormwater management and provide high quality spaces that people can enjoy. Larger green infrastructure installations can include linkages to local parks and active transit systems. Roadside green infrastructure should include not only adequate sidewalk and lane provisions for bicycles and pedestrians, but also consider the quality of experience for those users. Offering opportunities for people to enjoy nature is beneficial, as even brief encounters can ease stress and anxiety. 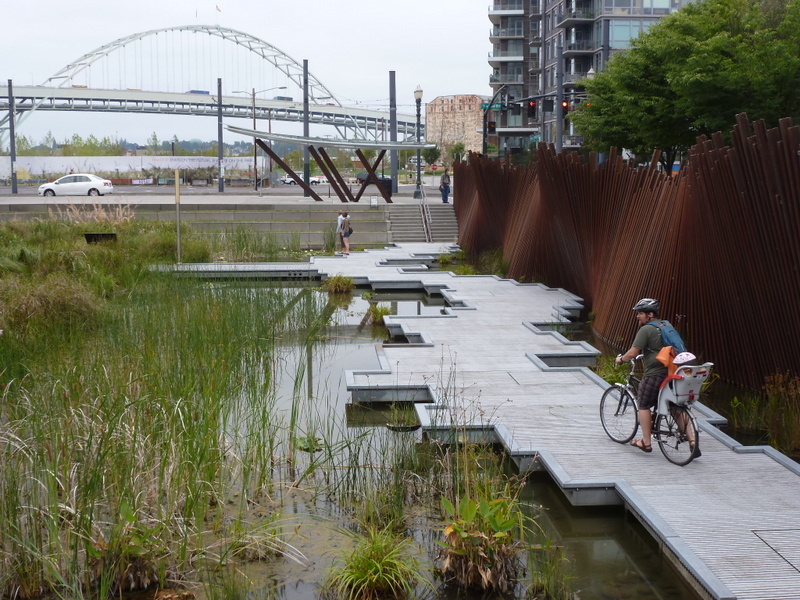 The character of green infrastructure designs can range from naturalistic to formal. These manicured rain gardens offer outdoor spaces for residents to step out, gain green benefits, and then return to busy lives. Scientific evidence should be the basis of future efforts to make cities more sustainable. Nearby nature — including small plots or parcels imbedded within all land uses — directly contributes to quality human habitat and is profoundly important for health of mind and body. A project at the University of Washington provides access to this knowledge base. The website Green Cities: Good Health represents a collection of more than 2,800 scholarly works, most of which are peer reviewed. The papers are sorted into key themes, each represented by a summary with citations. Here are facts from the research literature. Over the last 30 years, adult obesity has doubled in the U.S., and childhood obesity has more than tripled. The Centers for Disease Control provides recommendations for weekly rates of moderate-level physical activity to reduce health risks from obesity and chronic disease. Improving the walkability of neighborhoods and increasing recreation access helps promote more healthy weights for people of all ages, including the elderly. A study found that seniors with nearby parks, tree-lined streets, and walkable spaces showed higher longevity over a 5-year period. Stress is a major contributor to ill health in modern times. Unresolved, long-term stress can lead to immune system issues and illnesses. The experience of nature is one antidote to stress, and the body’s positive response is remarkably fast, occurring within minutes. Studies by Roger Ulrich and other environmental psychologists show that visual exposure to nature in the form of trees, grass, and flowers can effectively reduce stress, particularly if initial stress levels are high. Mental restoration also is gained from spending time in an urban green space, and increased visit duration — up to 1.5 hours — improves the restorative effect. Experiences with nature contribute to better mental health and improve one’s capacity to be productive. Modern life often demands sustained focus on tasks, and this effort can lead to cognitive overload, bringing on irritability, inability to function effectively, and physical symptoms. Brief experiences with or even views of nearby nature help to restore the mind from mental fatigue, as natural settings provide respite from high-focus tasks in school or at work. This psychological response may contribute to higher workplace productivity as employees with a view of nature are better able to attend to tasks, report fewer illnesses, and have higher job satisfaction. Well-designed seats and benches serve customers and employees, providing places for rest, restorative moments, and people watching. Small green spaces within facilities such as hospitals and schools can promote healing and provide therapeutic gardening activities. Stormwater holding parcels can be designed with multiple ‘zones’ of function and benefit. More naturalistic vegetation can be ‘framed’ by more refined and manicured spaces that invite people to enter and interact. Natural experiences also are associated with healing and treatment of emotional and physical disabilities. Hospital patients with views of nature display less pain, shorter hospitalization, less anxiety, and higher hospital and room satisfaction. Participating in nature activities also can be used in rehabilitation programs. A group of inmates in a horticulture program had a recidivism rate of 25%, compared to the 65% rate of the general prison population. Social capital is formed from people’s interpersonal relationships and resulting supportive networks. Social capital is a critical condition for a host of community benefits and contributes to development of socially resilient communities. The mere presence of landscapes or trees appears to promote community connections. Views of green space from homes are linked to greater perceptions of well-being and neighborhood satisfaction. 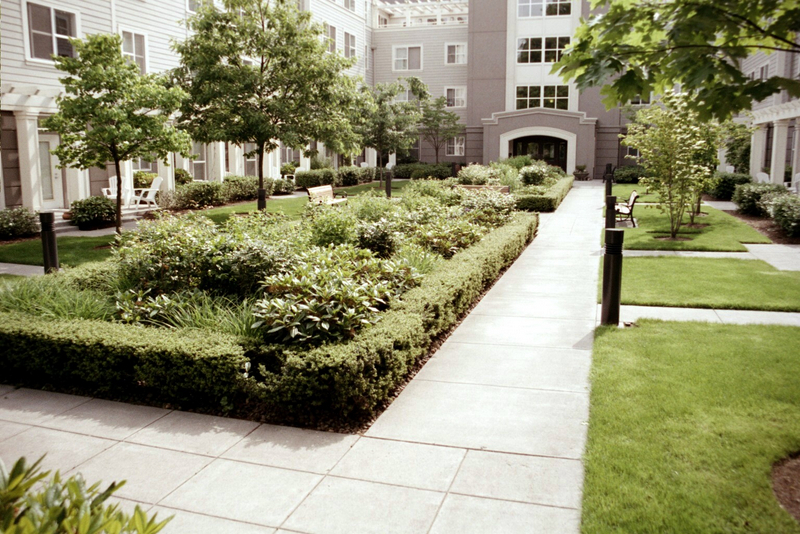 Public housing residents reported feeling a greater sense of safety if developments had well-maintained landscaping, including trees and grass. Greener public housing neighborhoods tend to be safer, with fewer incivilities and reported crimes. Active involvement in community greening and nature restoration projects also produces a range of social benefits, including strengthening of intergenerational ties and organizational empowerment. Most economic valuations of city nature have addressed residential property values. According to the proximate principle — described by John Crompton, an economist at Texas A&M University — homes adjacent to naturalistic parks and open spaces are valued from 8% to 20% higher than comparable properties. Having adjacent street trees also positively affects home values and time on market during sales, while yard trees are associated with both higher property values and rental rates. There are many more opportunities to express benefits in economic terms. Increased worker productivity and school performance have implications for local industry and workforce development. Nature-based healing and therapy may be reasonably priced supplements in human services programs. Perhaps the most promising valuation opportunity is the relationship between outdoor space and active living. The potential economic consequences of routine, mild physical activity are enormous, when aggregated across entire cities or the nation. 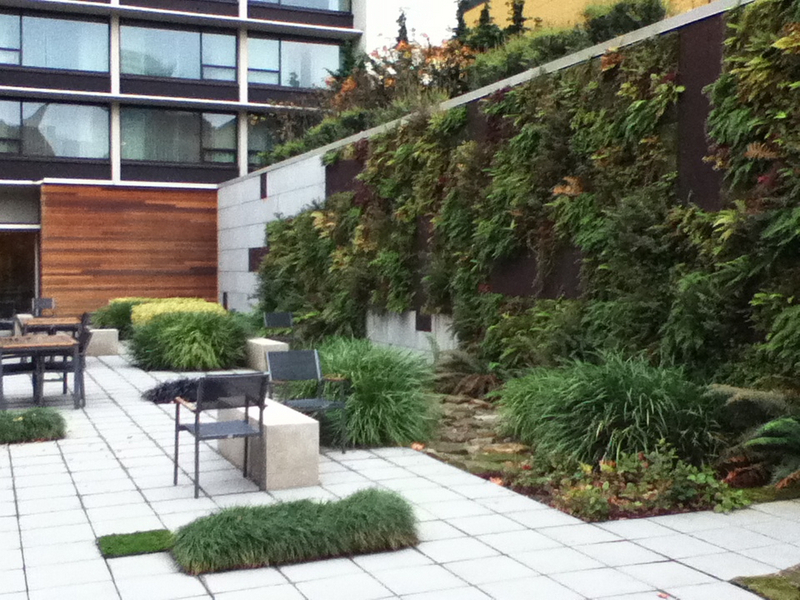 Large green infrastructure spaces may be naturalistic and look unkempt. More formal edges provide the ‘cues to care,’ as described by Joan Nassauer in a Landscape Journal article, that improve social acceptability of naturalistic landscapes. ‘Social acceptability’ is a term social scientists use to describe the willingness of communities and individuals to adopt or support proposed changes in their communities. 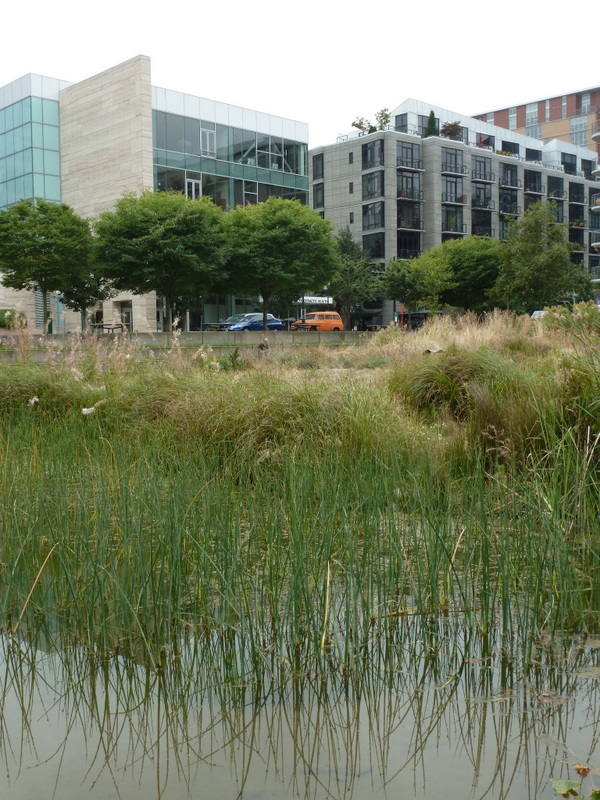 The U.S. Environmental Protection Agency provides evidence that green infrastructure can provide more benefits at lesser cost than single-purpose gray infrastructure. 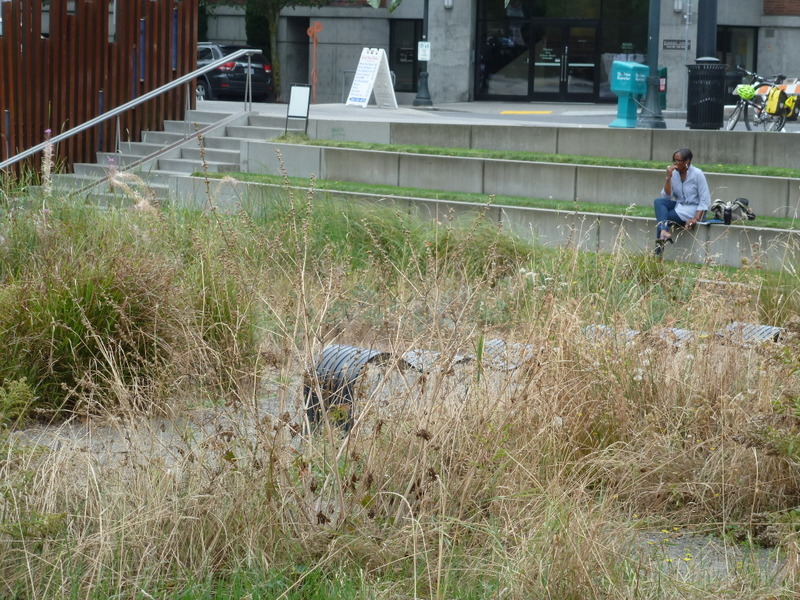 Yet in some communities, there is social resistance to green infrastructure installations at a large scale due to concerns about costs and potential nuisances. Concerns often can be relieved and even transformed to public support. 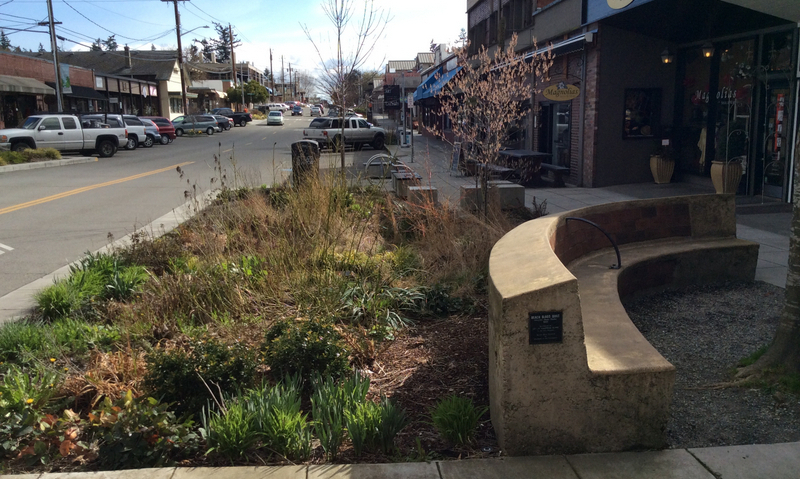 Green infrastructure pilot programs that showcase both stormwater management functions, and health and community co-benefits, offer solutions for a variety of important public issues. 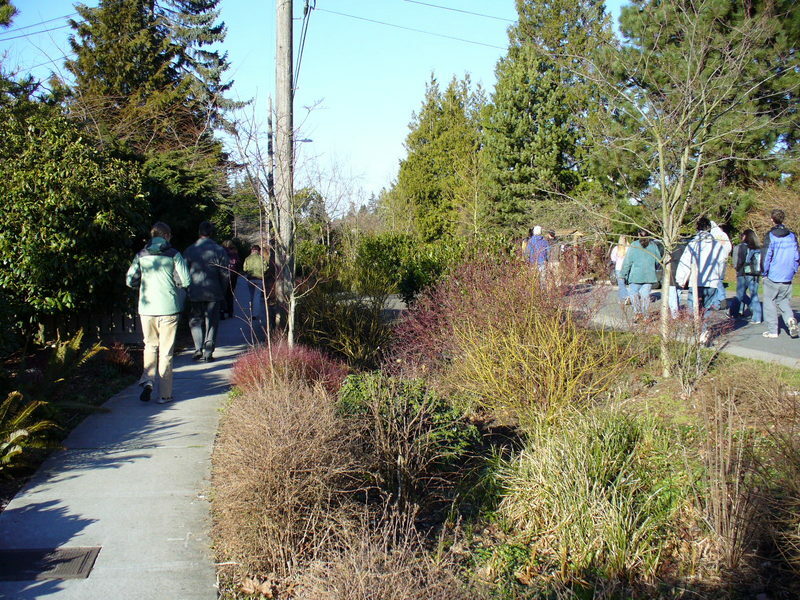 Support for the Green Cities: Good Health project is provided by the U.S. Department of Agriculture Forest Service, Urban and Community Forestry Program. A version of this article with full references is available from the author; please email kwolf@uw.edu. All images unless otherwise noted are credited to Kathleen L. Wolf.